pyMCU the python controlled microcontroller. pyMCU was created with the idea of being a simple cost effective platform to interface between the computer and the physical world using python. 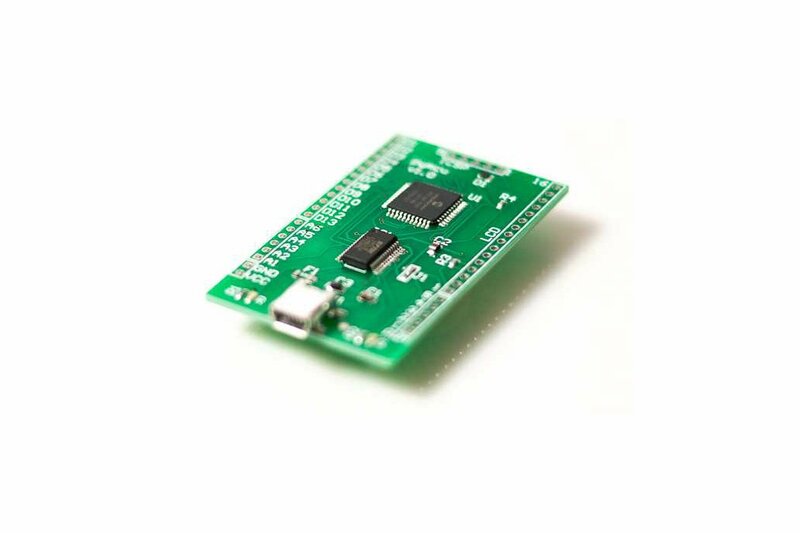 The heart of pyMCU is a microchip PIC 16F1939 offering 13 Digital IO Pins, 6 Analog IO Pins, 5 10-bit PWM Pins, and a 16 Pin Parallel LCD Interface. 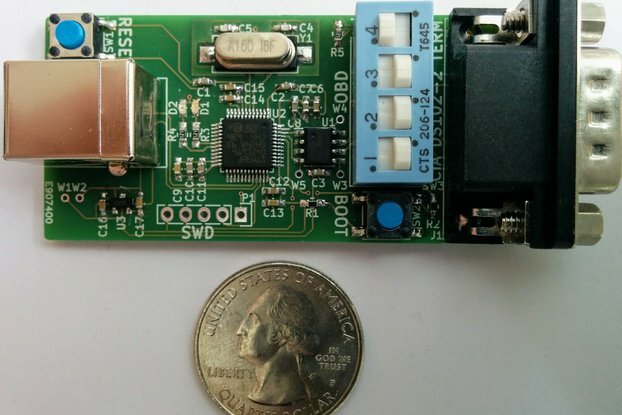 The USB Interface uses the industry standard FTDI USB to UART FT232R chip. Drivers and python module are available for Windows, OSX, and Linux. For more detailed info check out the Hardware Specs Page.